As the UN General Assembly calls again on Israel to leave the Golan Heights and declares Israeli jurisdiction on 'the Holy city of Jerusalem' to be 'null and void,' the Jewish state prepares to go up against three UNSC resolutions aimed against it. The UN General Assembly adopted six resolutions on the situation of the Palestinians on Wednesday, including a demand for Israel to withdraw from the Golan Heights. The move comes a day after the new President of the UN General Assembly, Peter Thompson, was seen wearing a Palestinian scarf whilst at a UN committee hearing. The resolution, called UNGA Resolution A/71/L.8, was put forth by over 35 countries, including Bahrain, Bolivia, Cuba, Ecuador, Indonesia, Egypt, Syria, Jordan, Lebanon, Saudi Arabia, Nicaragua, Nigeria, Zimbabwe, and the Palestinian delegation, amongst others. The resolution calls for peace talks between Syria and Israel and Lebanon and Israel to be restarted immediately, calls for the Israeli withdrawal from the Golan Heights, and determines that Israel being in the Golan Heights and Israel’s de-facto annexation of the Golan Heights represents a key stumbling block to regional peace. It was passed in the UN General assembly by a vote of 103 for, 6 against (Canada, Federated States of Micronesia, Israel, Marshall Islands, Palau, and the United States), and 56 abstentions. The resolution is one of six anti-Israel resolutions passed Wednesday, another being on the status of Jerusalem (A/71/L.22). In it, the UN expressed “its determination that any actions taken by Israel, the occupying Power, to impose its laws, jurisdiction and administration on the Holy City of Jerusalem are illegal and therefore null and void and have no validity whatsoever”. 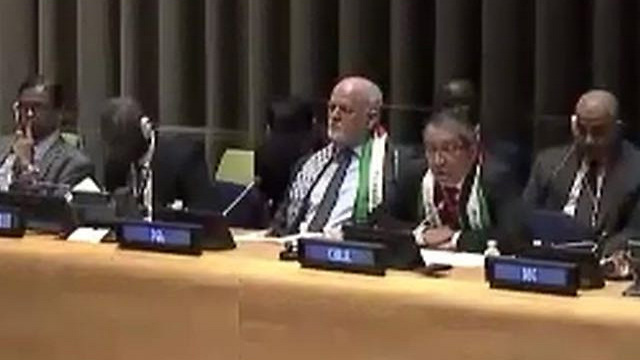 “Furthermore, the resolutions under discussion did not mention the internationally recognized terror organization Hamas. No one should delude themselves: supporting the resolutions and the inherent bias against Israel would not advance the cause of peace. Rather it would only make peace harder to achieve,” the representative added. The US however did reiterate that it views the settlements as a stumbling block for peace. Meanwhile, the Israeli Foreign Ministry is expecting a tough fight against several anti-Israel resolutions which are due to be voted on at the UN Security Council before US President Obama leaves office. There are three initiatives which especially worry Israel; initiatives from New Zealand, the Palestinians, and France. The Palestinians are trying to pass a resolution which will term the Israeli settlements in the West Bank illegal. Israel is worried that such a decision will prepare the groundwork for sanctions, and be a precursor for an indictment against Israel at the International Criminal Court in The Hague. The French resolution calls for an international peace conference, which Israel has already expressed its opposition to. The opposition is premised on the fact that the initiative calls on a time table for discussions, and that should no agreement be reached, France will automatically recognize a Palestinian state. Israel believes that the US will use its veto power over the French and Palestinian initiatives, yet is unsure as to US action towards the New Zealand initiative. This is because the New Zealand initiative does not seem to be unilaterally condemning one side or the other for incitement and violence. While Israel is working primarily with the Americans in the Security Council, Israel is also working with other countries as well. US Secretary of State is expected to discuss the issue at the upcoming Saban Forum. Israeli media widely circulated this image, supposedly of a Palestinian setting a forest fire. The man, who had been tending his own land, was interrogated for five days and then released. A Palestinian man who Israeli media and authorities accused of arson, amid wildfires that forced tens of thousands to flee their homes last week, has reportedly been released without charge. “Remember Jawad Qattoush from Battir? He starred in all the newspapers in recent days – a Palestinian who lights fires,” Nir Hasson, a journalist for the Tel Aviv newspaper Haaretz, posted on Facebook on Thursday. “So after five days in detention, interrogation by the Israel Security Agency and the prohibition of a meeting with a lawyer, he went home. He actually did light a fire, he burnt garbage on his own premises, 150 meters from his home, 1.5 kilometers from any Jewish town,” Hasson stated. “Oh, and he also put out the fire,” Hasson added. The accusations against Qattoush came as Israeli leaders, including Prime Minister Benjamin Netanyahu, asserted that Palestinians were starting the wildfires that the government was struggling to control. Qattoush was one of more than 20 Palestinians, some of them citizens of Israel, rounded up on accusations ranging from arson to making satirical comments about the fires on social media. 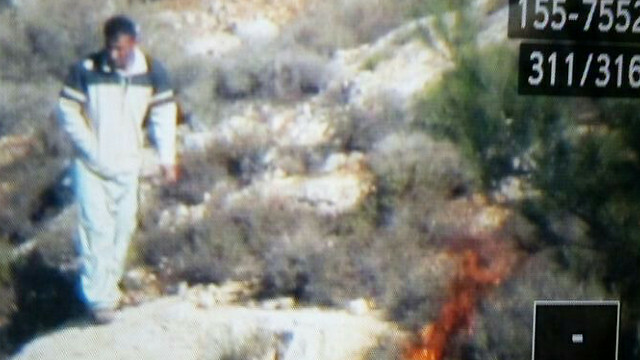 Israel’s Channel 2 had reported that on Saturday, Israeli park rangers spotted a man setting a fire at “Nahal Refaim in the Judean Hills,” a river valley straddling the boundary line between the occupied West Bank and present-day Israel. The report claims that inspectors from Israel’s Nature and Parks Authority observed a person coming from Battir, a village west of Bethlehem in the occupied West Bank, near the boundary line with Israel. The man then began setting vegetation alight, but “thanks to the efforts of the rangers the fire was prevented from spreading.” Channel 2 adds that Israeli occupation forces followed the man back to Battir and detained him there. They said that Qattoush, 43, works in Jerusalem, and his day off is Saturday, which is when he typically tends to and waters his land. That’s what Qattoush was doing last Saturday, according to one neighbor: he collected scrub and debris and burned it, and then returned home. The video report shows a small patch of charred earth where Qattoush burned the brush. “We were surprised when a short time later the army and police arrived and took him away,” the neighbor said. Another neighbor explained that following the autumn olive harvest villagers typically clear their land of fallen branches, as Qattoush was doing, far from any forested area. About a third of Battir’s land was seized in 1948 and now lies inside present-day Israel, but under the 1949 Rhodes Armistice Agreement, villagers continue to maintain ownership of their land on the Israeli side. But Qattoush’s land, as Ma’an states, is well within the West Bank side. Battir, which is in an area of heavy encroachment by Israeli settlements and is under threat from Israel’s wall in the West Bank, is also on UNESCO’s list of World Heritage in Danger. Adalah, a legal advocacy group that defends the rights of Palestinian citizens of Israel, told The Electronic Intifada earlier this week that Netanyahu’s claims that the wildfires were “terrorism” came as part of a “strategy of incitement” against the Arab population. Israeli analysts also observed that Netanyahu sought to scapegoat Palestinians to shift public anger over failures in the government’s firefighting effort. Israeli media revealed on Saturday that a fire blamed on Palestinians may have been started by Israeli forces chasing them in a wooded area west of Jerusalem. The fires affected Palestinian citizens of Israel as much as anyone else. Palestinian rescue workers and firefighters, both from within Israel and the occupied West Bank, risked their own lives to protect others. And despite the scapegoating of their communities, they are part of the recovery as well. In the northern city of Haifa, for instance, Palestinian businessmen are repairing a synagogue damaged by a wildfire free of charge. On Thursday, heavy rains and snow were predicted to bring an end to the long dry spell. A change in the weather may put out the remaining fires, but it is unlikely to extinguish the Israeli government’s inflammatory attacks and incitement. A Palestinian human rights group has reported the occurrence of 500 arrest incidents by the Israeli occupation forces against Palestinians last November in different areas of the occupied territories including Gaza Strip. Among the detainees were 110 children and teenagers under age 18 as well as 14 girls and women, according to report released by the Palestinian Prisoner Center for Studies on Thursday. 14 citizens from Gaza, including eight fishermen, were also among those captives. 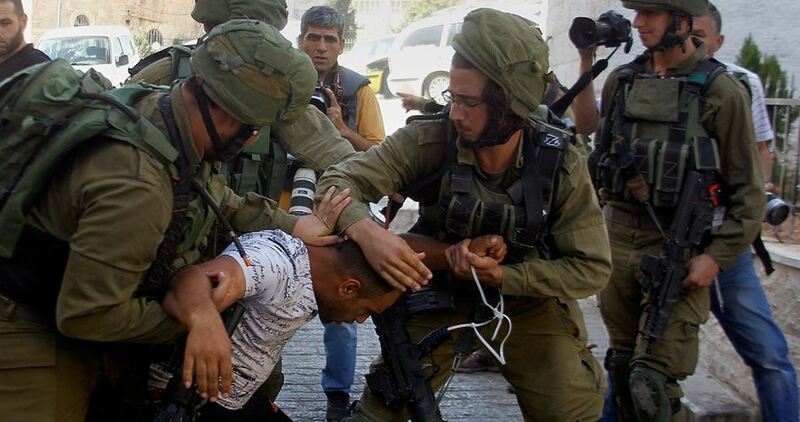 Israeli military and security forces carried out those arrests during the reporting month.